Italia Furniture > Vanity Pack With Pan & Curved Basin 1050mm (LH, White). 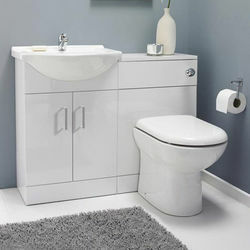 Italia cloakroom furniture pack with toilet pan, seat and curved basin in white (left handed). Floor standing design with double doors. 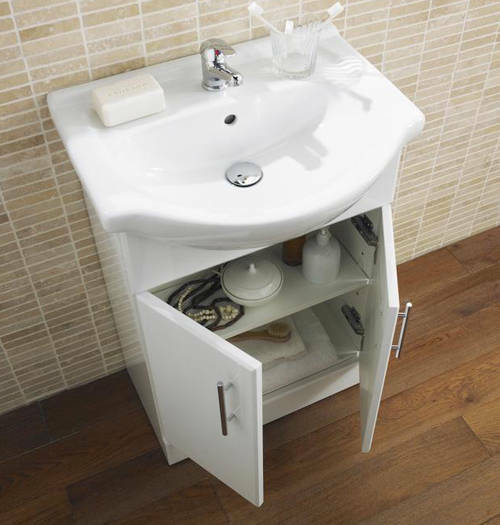 Quality 550mm 1 tap hole ceramic basin with curved front (wider sides for your toiletries). BTW toilet pan and soft close seat included.